Your input directly influences the enhancements we make to NetGalley. And we’ve heard you: As book advocates and industry professionals, your schedules are important. Staying organized is a cornerstone to being productive, so today we’re introducing some new features to help. You asked, we listened! Our members love lists as much as we do. Now you can receive a weekly Checklist email to help you prioritize the books you need to read and review first—so you don’t miss their optimal time-frame. Here’s a sneak peek at the email, which you can turn on/off within your Profile (Additional Info > Subscriptions). As you know, your reviews and feedback are essential to publishers, authors, and other readers. 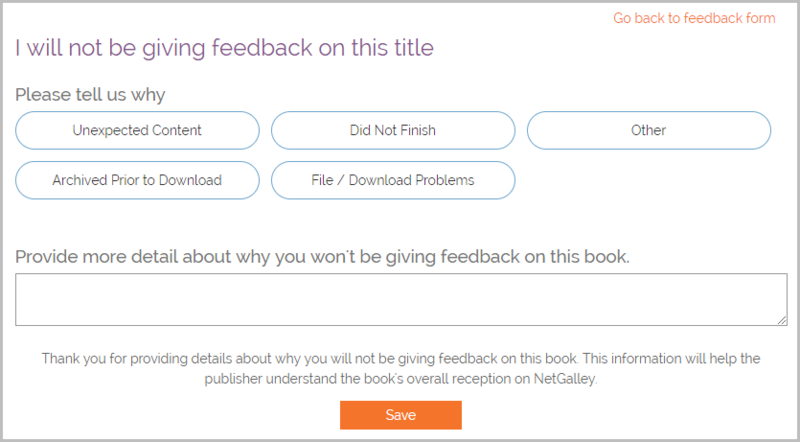 NetGalley members are expected to provide feedback for the books they access, in exchange for getting free digital review copies. When you finish reading a book, make sure to submit your reviews, star ratings, opinions, and industry list nominations. We’ve made some small enhancements to the Feedback section, including splitting into two pages: Review & Opinions. Depending on your member type, you’ll need to submit the first page (Review or Opinions) before the next page will appear. Plus, we want to acknowledge that there are legitimate reasons why you may not be able to submit feedback for certain books—so we’ve added a “Will Not Give Feedback” option to allow you explain why you aren’t reviewing, and to better organize your Shelf. Submitting “Will Not Give Feedback” will move the book off your Give Feedback list, but will not count towards your overall feedback ratio. Read more here. Our goal is to help, when we can, resolve any issues that are preventing you from submitting feedback. We will be carefully analyzing the “Will Not Give Feedback” responses to improve the NetGalley service for our members and publishers. And you will still be able to submit full feedback later (for instance, if a file issue is resolved). Once you’ve submitted feedback, you can increase the visibility and value of your reviews by sharing to your blog, social platforms, and retail sites. This is especially important around the publication date. We’ve made it easier to see which reviews are ready to be shared by adding a new section of your Shelf (Feedback Sent > Post to Retail Sites). We take our goal of helping books succeed very seriously, and we know you do too. We hope these changes will help you create your optimal NetGalley workflow and give you more tools to communicate with us and authors/publishers. Thanks, as always, for your dedication and support. Can you believe that NetGalley members (like you!) submit 60,000 reviews each month?​ Your efforts are extremely valuable to publishers and authors—but wouldn’t it be great if, in that same single click, those reviews could also be shared to other readers via your Goodreads, Facebook, Twitter, and LinkedIn accounts? Today’s the day! Once your accounts are authorized, all you have to do is click each icon and your review will be automatically posted to ​those ​timelines​ ​when you submit your review​ in NetGalley​. You’ll also start to notice hashtags on book pages, which can be automatically added (and edited) in your social posts. ​Have questions? Read more here, and reach out to our support team​ anytime. As members of NetGalley, you know that publishers and authors rely on your thoughtful reviews and feedback. We’re showcasing your dedication to helping books succeed by giving your reviews the platform they deserve, to increase their visibility and value. 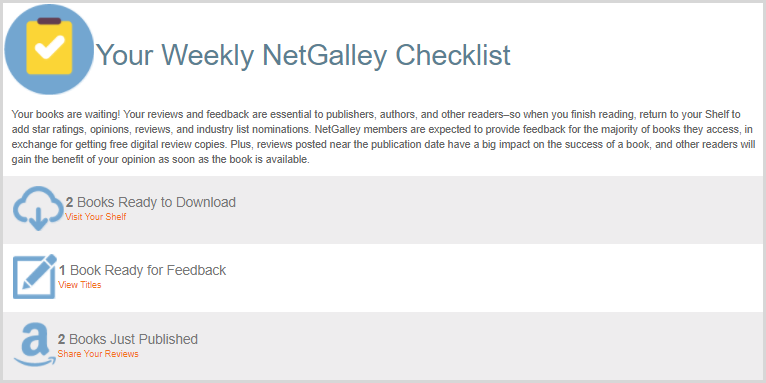 As you submit your reviews on NetGalley, you will notice a few upgrades to the Feedback page – take a look here! Your reviews will be visible to your fellow book advocates! Reviews you submit via NetGalley on and after August 14, 2017 will appear on the Title Details pages, visible to other NetGalley members. Adjust your name Display Preferences anytime in the Additional Information section of your Profile. See the average star rating and reviews from fellow members. As you’re reading reviews from other members, you can indicate which are the most helpful. Remember: The more reviews you submit, the easier it will be for you and other reviewers, librarians, booksellers, educators, and media professionals to decide which books to request, read, and review. (P.S. If you need any tips for writing reviews, you can find them here!). Thanks as always for your continued support of NetGalley and dedication to helping books succeed. Each day NetGalley collects thousands of pieces of feedback about new titles, as members share star ratings, reviews, links, notes and recommendation plans through the site. Your feedback is essential to the commercial success of the books listed on our site—-and as professional readers, your recommendations matter a great deal when individuals decide what to read next. Today we’re introducing a new feature so NetGalley members can additionally share their Feedback with their social networks, via Twitter, Facebook and LinkedIn. It’s easy and you can share your reviews all the books you have access to on NetGalley. You can log in right now to try this out with Feedback you’ve already sent, or with new Feedback. 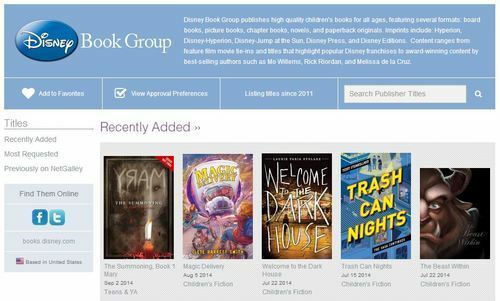 When you share via NetGalley, your contacts will have the opportunity to view your comments on a private landing page which includes title information as well as standard inks to purchase the title from major book retailers. Here are complete directions on how to share via NetGalley, as well as visuals of the whole process. Take a look! Sharing isn’t required, of course, but we think you’ll like how easy it is to pass along your recommendations as you share Feedback with the publisher. After all, who doesn’t want to tell someone when they’ve read something amazing? We’ve added a new “Featured” category when you are browsing for titles on NetGalley. This new category is limited to 15 titles per week, specially selected by NetGalley and the publishers and authors we work with. You’ll often see a theme in the titles selected for this category, too. Click here to see which titles are Featured first. And you will also notice new region preferences on titles available for request. Region preferences make it much easier for you to select titles you’re likely to be approved for, because they are being published in your geographic region. Finally, we’ve added a link to our Help pages within your reader account. Look for the “Help” link at the top of your account, when you login. Did you know that the majority of titles selected for the Indie Next list are available on NetGalley? Here is the March list. We announced a new program for US indie booksellers, in partnership with the American Booksellers Association. Your Digital White Box will be delivered to you via email once a month, starting in February 2014. If you are an ABA member, sign up today! Finally, get a head start on the biggest Spring titles by downloading the Publishers Lunch Buzz Book, now available on NetGalley to READ NOW. 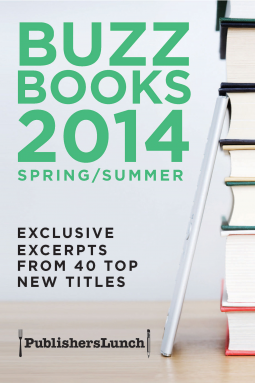 This is a unique volume of excerpts from many of the biggest books of the upcoming season.